Download our 2018 Wedding Catalog here. 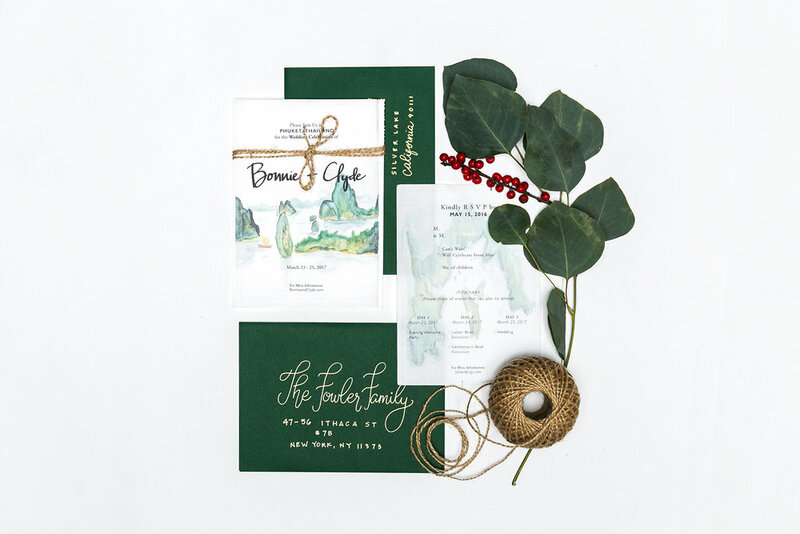 As a small, Atlanta-based design studio, Patricia fK Design & Illustrations focuses on creating 100%, design-to-order paper goods and supplemental products to celebrate your special day. Once a suite is designed, it is never repeated or resold. 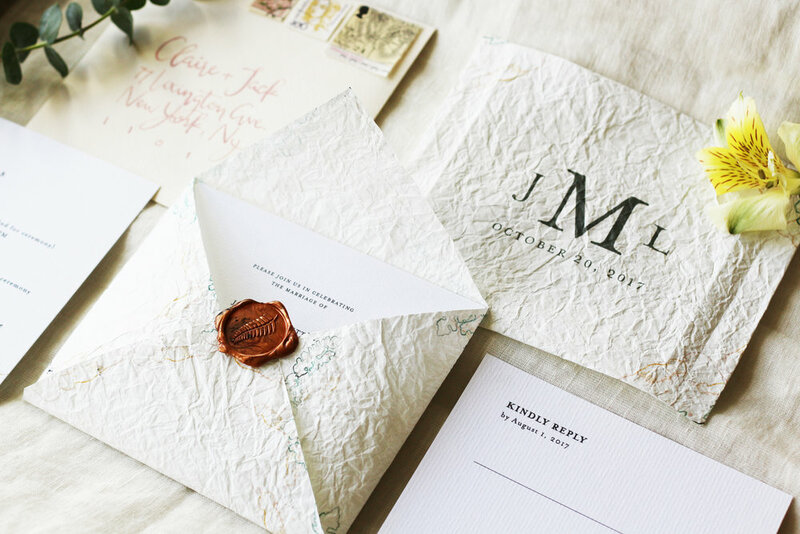 From paper type to illustration, it's all custom-made to fit your fete. Through in-person meetings or Skype, emails, and other technology platforms, we make it a mission to learn everything we can about you, your partner, and your big day. At the end of the day, our goal is to deliver a suite that you’re proud to send. 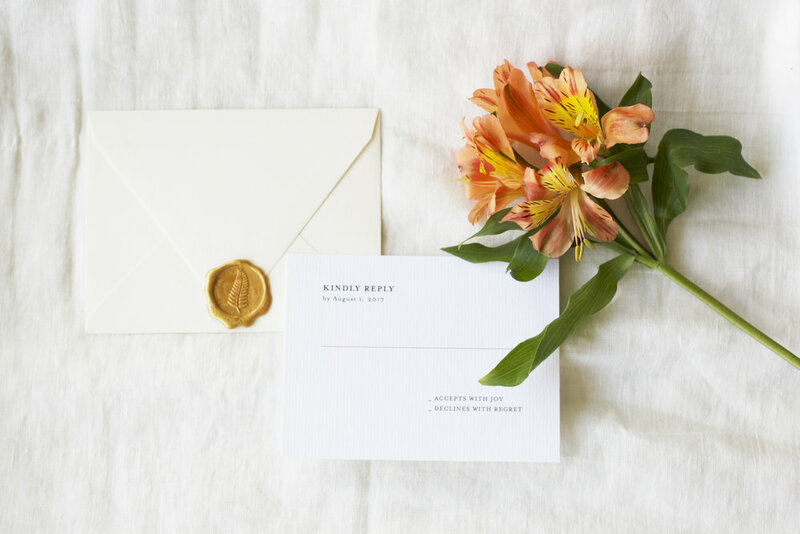 After all, wedding invitations are the first impressions your guests will have of your wedding. AND WE DON'T STOP AT THE INVITATION SUITE. You think of it - we make it. Consultation - We like meeting with brides and grooms in person and learn everything we can about them, their partner, and their big day! In Atlanta? Let’s meet up at a local spot and get to know each other! Not local? Not a problem. We can Skype, Facetime, or set up a call. When you’re ready to start, we’ll gather more details and compile one to two options for your suite, that are 100% custom. You’ll have a few days to think about it, and we offer two complimentary rounds of revisions. The typical design and production process takes anywhere from 4-6 weeks. Download our wedding catalog for 2018 here for more information. We're ready to meet and work with you! Tell us more about your wedding day and ideas! Thank you! We'll send you a message shortly.